Specialty Advertising Products with Offices in Iowa City, Iowa and Fort Wayne, Indiana. Simply enter your email address below to sign up for our web special of the month updates. Every marketer knows that consistent brand compliance is key to leveraging the equity of the brand. But when your company’s structure includes multiple layers such as departments, sister companies, franchisees, distributors, or dealers… all using, and possibly producing… marketing materials… things can get messy! How do you ensure your brand stewards are following your guidelines? 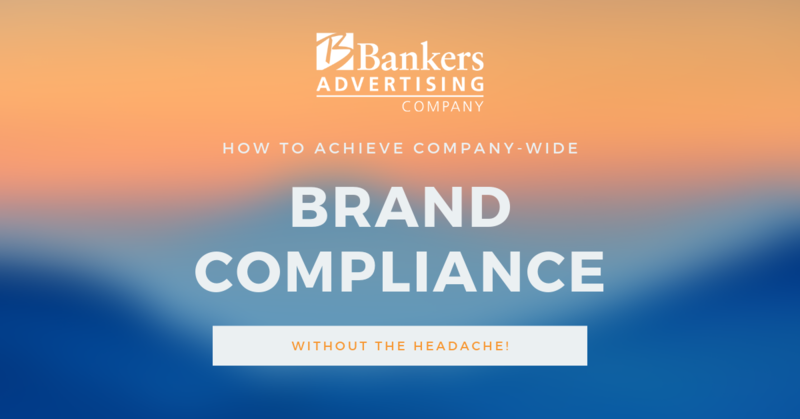 Better yet… how do you achieve headache free brand compliance? Activate brand guidelines and circulate it company-wide. Provide your company representatives with marketing templates that address appropriate brand usage and common mistakes. * An FAQ is a great way to answer questions for the masses, and prevent an influx of calls or emails. Require the use of brand-approved legal disclaimers and disclosure. Require the use of pre-approved (grammatically correct) content. In short, a well-thought brand management program can help you to make true brand compliance the fastest, easiest way for your company representatives and brand stewards to get their promotions out the door. It makes marketing safe, reliable, and even fun—and could save you hundreds, even thousands, of hours per year. Our in-house brand manager is an expert in brand guidelines and trademark policies. Your brand reflects your values, mission, products, services, team members and culture. Our goal is to work alongside you to become brand stewards so that the products we supply accurately represent your company. We strive to get to know you, your brand, and what you stand for. We understand the time and effort it takes to fully evolve your brand. We provide promotional consulting, products and value-added services. When you make promotional products an integral part of your marketing, you can watch people grab onto your message. We take your brand seriously and look forward to collaborating with you! 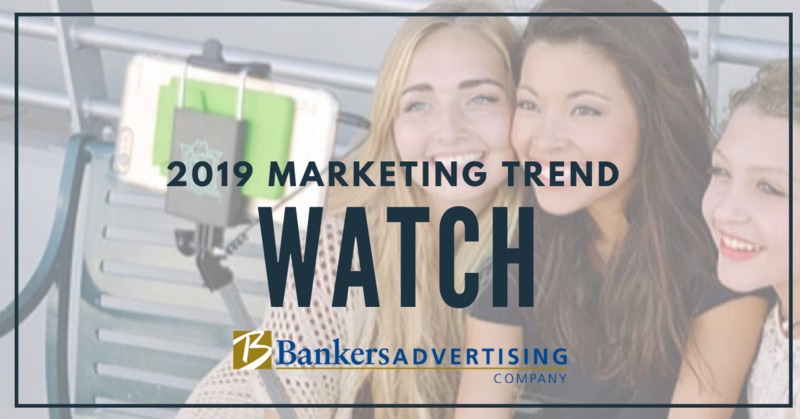 When Promotional Consultant Today released their list of the biggest marketing trends to watch in 2019, the first thing that we noticed was that a good chunk of them weren’t even applicable to us here at Bankers! Tech buy-ins and advances like chatbots, voice and visual searches, and AI monitoring may be taking the marketing world by storm, but what the drive toward greater automation reminds us of is that, once again, our personalized, person-to-person service will soon be a rare treat in the marketplace. As for the rest of the trends—read on! Here, we highlight their top five, and share how, working Bankers and with your sales partner, you can leverage them to help propel your business into 2019 and beyond. A shifting marketing funnel. Instead of creating a marketing funnel that accepts anyone, move toward niche audiences. Contacting people and businesses who are interested in your products and services saves you money and time. Bankers has a wide array of support available to help you make decisions about how (and what!) to sell to your target audience. Your sales partner can help you dig into the best promo for various demographics. Content rises in importance. People crave phenomenal content. In the year ahead, think about how you can create articles or videos that inspire your audience, provoke their thoughts, appeal to their emotions, or excite them. Don’t just write a post to write it; craft a piece with a goal of getting readers to share and engage with it. When you do, you open the door for two-way communication, which ultimately helps you build trust. Bankers can’t create content for you. But we can help you with creative content delivery! With great promotional items, the medium IS the message—but more than that, your sales partner can connect you with flash drives that we can have pre-loaded with information for you, notebooks and planners that you can add your own content to, VR devices that can send your customers on a virtual tour, and more. Consumers pay more attention to security. People want to know how businesses handle their information, so ensure that your company’s security is thorough. In an era of hacks, leaks and theft, make sure to discuss your security with customers. What are you doing to ensure the safest business experience? Well isn’t that a coincidence? Customers are concerned with security, and you can offer them promotional products to ease their fears. From webcam covers to RFID-blocking wallets and passport holders, promo is a wonderful fit with this trend, offering a great way for you to support your security initiatives. A greater focus on Gen Z. Members of the second-youngest generation crave authenticity and prefer socially responsible businesses. As they get older, their buying power increases. Make sure your marketing reflects what matters to this group to best connect with them in 2019. Not to worry: The kids are alright. Rising purchasers Gen Z (the oldest have been in the job market a few years or are just getting out of grad school) are socially aware, politically active, and ready to do business with someone they trust—and that someone could be you! 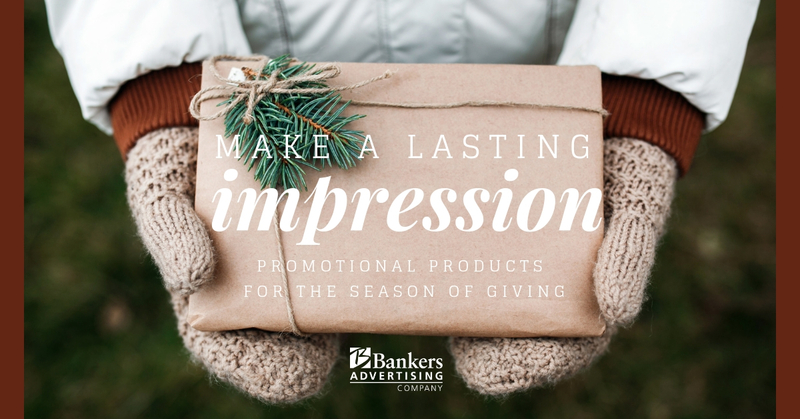 At Bankers, we can find the best promotional products to support you in outreach efforts with items that are all recycled, all Made in the USA, or otherwise fit your corporate values that you’d like to express to your Gen Z customers. Influencers become more personal. While celebrities used to dominate influencer marketing, consumers now lean toward their peers to decide what to buy. Instead of celebrity marketing, many brands are turning to real people (micro-influencers) because people trust individuals like them. To win at marketing in the year ahead, don’t keep doing what you have always done. Keep an eye on emerging technologies, methods and patterns to maximize your marketing efforts. This is the best news yet! What marketing calls “micro-influencers” we call your current customers. All it takes is more active use of what’s always been your best marketing tool: word of mouth. Promotional products are a perfect way to support that—your branded products are the perfect opening for the customers who love you to sing your praises to friends and colleagues. There’s a whole world of promotional opportunities ahead in this new year. Soon this cold and snowy weather will be behind us and we will all be thinking of spring. Now is the time to start the good work of planning their spring events and the year ahead. 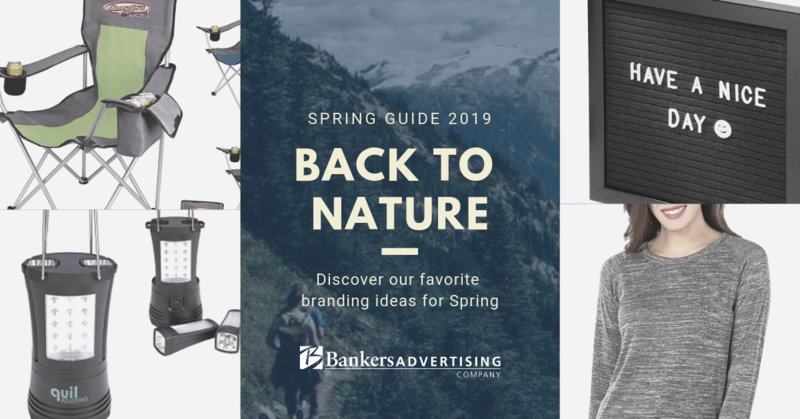 Our new Spring Guide can take your promotions to new heights. Will your company representatives be on the road this year? Will you be exhibiting at a tradeshow, hosting a special event, or getting your employees up and out with a new health and wellness program? Branded promotional products are essential to these experiences. Distributing branded products lets both your inside team and your client base know that they are a valued part of your customer’s enterprise. With a smart promotional branding plan, you can chart a course for success for your brand and blaze a trail to deeper, more mutually beneficial relationships with your customers and team members. Grill Brush Cleaner (pg. 3) The unique design features twisted wires instead of bristles, which easily clean your grill without the risk of breaking off. Features a large wooden handle for an easy, reliable grip. KOOZIE® Kamp Chair (pg. 3) This chair has it all and is perfect for camping, tailgating, and more. Features a Koozie® can holder for one can on the right armrest and a soft Koozie cooler for three cans on the left. Drinks will always be close at hand. Major Camping Lantern (pg. 6) As an avid camper, I love this light. It’s not only a lantern but also includes 2 handy flashlights Major Camping Lantern. This is a great giveaway for any outdoor enthusiast. ages, inspirational quotes, fun sayings, and more. Nina Women’s Long Sleeve Crewneck (pg. 15) Based on Brian’s recommendation for a nice ladies’ piece, I wore this shirt at PPAI Expo last week, and I love it! It’s so comfortable. 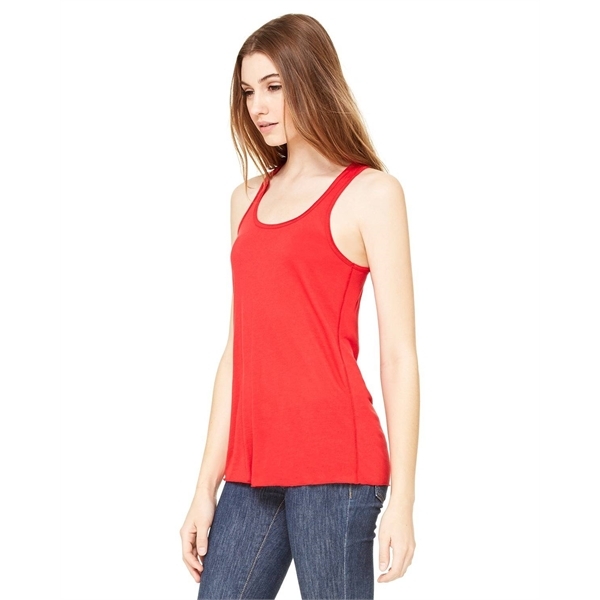 Show to all your customers wanting a nice, trendy style. Stainless Steel Straw Kit (pg. 18) Reusable straws are a hot trend you should be showing all your customers right now. They were extremely popular on the show floor in Vegas, and demand will only increase as more and more municipalities take steps to ban single-use plastics. 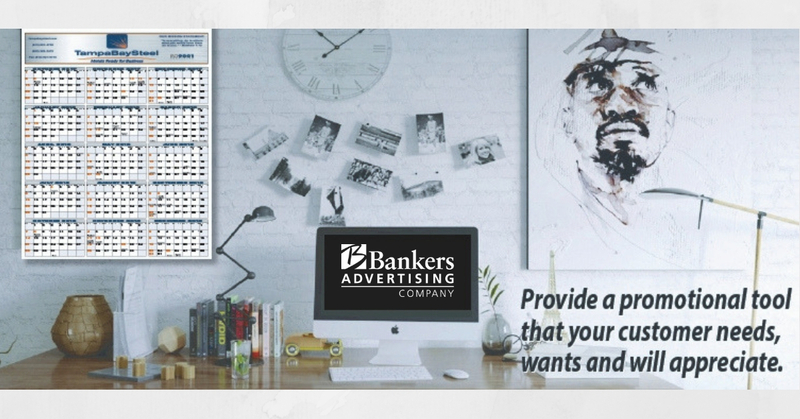 One last (exciting) note… Bankers Advertising is proud to be part of an exclusive network of approved distributors and decorators for Under Armour products. With your logo embroidered on these high-demand items by our in-house team, your garments will be proudly worn, creating a powerful billboard for your brand. Ready to strategize for spring? Let’s talk. P U R P O S E … does your brand have it? Marketing Word of the Year: Brand Purpose. ANA calls out Nike as well, as one of “many brands [that] have stepped up and taken a risk and stance this year.” They also name TOMS, the California shoe company that pledged $5 million to organizations committed to ending gun violence. They also mention Procter & Gamble, for its diversity-promoting, tear-jerking “Love Over Bias” commercial showing mothers supporting a diverse array of child athletes. Brand purpose is integrated deeply into the fabric of ANA, beyond the word of the year designation. They recently set up the ANA Center for Brand Purpose, which defines “purpose” in the context of marketing as “a brand’s reason to exist beyond turning a profit.” The center offers content, tools and professional development to help marketers in leveraging a brand’s purpose to drive growth. So… what is YOUR brand purpose? There are myriad reasons to contemplate this question. Don’t forget that study after study has shown that the rising wave of Gen Z consumers, for example, expects their purchases to matter in the world. 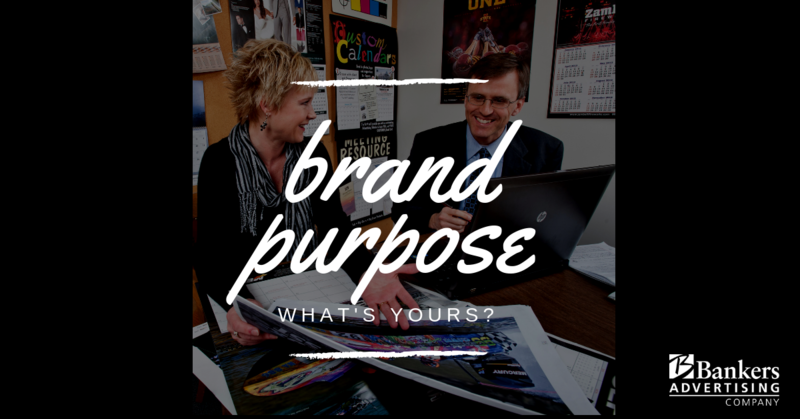 Does your brand have a purpose? Do you have a reason to exist beyond turning a profit? Even for individuals, building your brand is necessary to survival in the marketplace. Why do you want your customers to turn to you, and how can you leverage that in your own marketing decisions? We’re here to help you make your branding and marketing materials come to life. deep-sea divers or thalassophiles (lovers of the sea) out there will be familiar with the shade: It comes from the marine invertebrates that have built their reefs over nearly 110,000 square miles of the earth’s oceans and seas. 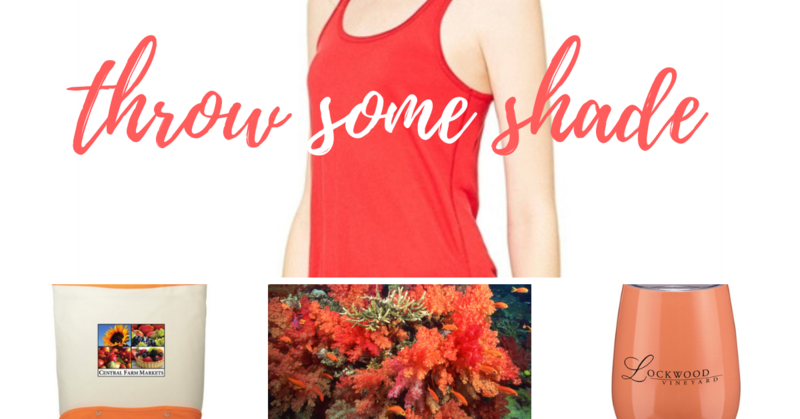 Coral are among the oldest animals on the planet, both collectively and individually—they’ve been around in some form since over 500 million years ago, and single specimens of the genus Leiopathes, for example, have lived over 4,000 years. Reefs are currently at risk, however—something that has been floated (pun intended) as one of the reasons for Pantone’s choice. More than half of the world’s coral reefs are dead, and experts estimate that we could be down to 10 percent remaining by 2050 without drastic intervention. Treat yourself to the regenerative optimism of Living Coral in 2019. 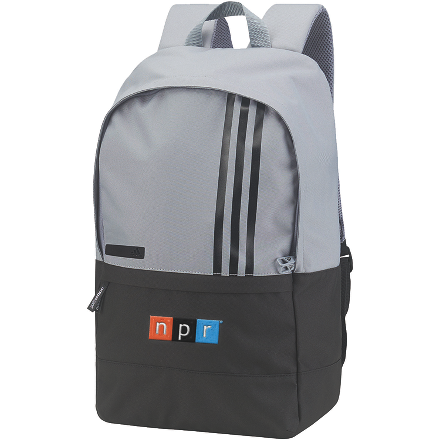 These already-available promotional items are a great start. When you have a gift for everyone… EXCEPT your clients! Ho-Ho-HOLD UP! Have you taken three minutes to browse through our 2018 Gift Guide? Basically, we’ve done all the heavy lifting for you this season so you don’t have to. We’ve rounded up some of our favorite new branded products to give you a useful tool when gathering ideas for your holiday gifts. We have something for everyone, whether you’re giving to a loyal client, a potential customer, a business associate, or a valued employee. We think you’ll be delighted at what’s inside. More importantly, your clients will feel important and remembered. And that right there is PRICELESS. If there’s one trend out there in the apparel world we should all be excited to see, it is the current trend of optimism. Positivity is replacing doom and gloom in the graphics and decorations we are seeing around today. Brands and customers alike all want to feel as if they are contributing to a greater good. Brands in particular are using hope as a way to connect directly with customers. 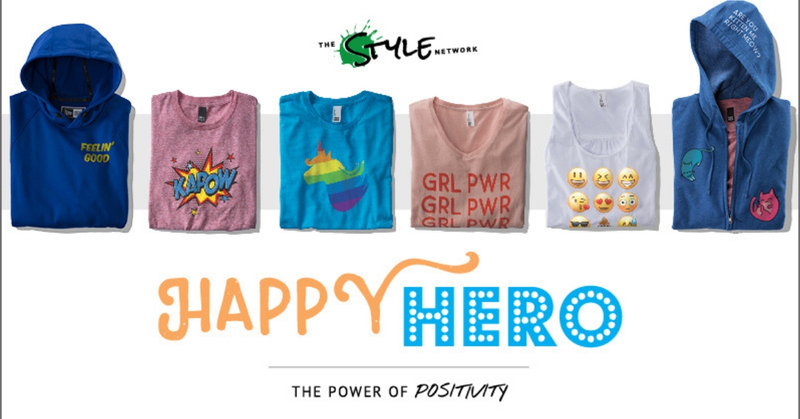 The everyday super hero is being emphasized through empowering graphics and important messages. Individuals want to be able to showcase their own particular “superpower” via unique and empowering decorations. Bright colors are often seen on apparel these days, with logos designed to pop both in the retail market as well as on social media such as Instagram. It’s not enough to merely be a hero these days…people want to see happy heroes! “Contributing to a greater good” is certainly a powerful motivator in decision-making! Fast-rising Gen Z is particularly, more than other demographics, attuned to social responsibility—it’s easy to think of that in terms of alleviating negative impact with “do no harm” initiatives (recycled materials, for example), but there’s an aspect of social responsibility that embraces joy and uplifting messages, too. Kindness is the new cynicism. We can even track down those bright hues with ease! All your sales representative needs to know is the PMS number of your official colors, and they can let you know exactly which pieces come in those shades. 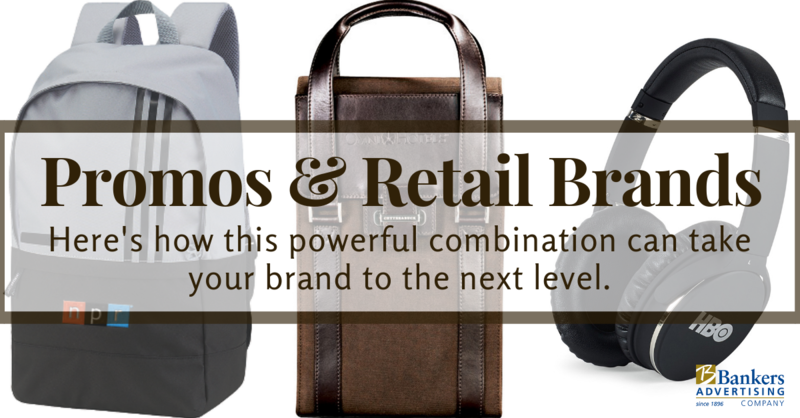 Retail Brands + the Power of Promo: A Perfect Pair! A recent webinar with Melissa Ralston, Chief Marketing Officer of BIC® Graphic, illuminated the inimitable value of the perfect pairing of retail brands and promo. Her tips and ideas were so compelling, we just had to share them with you! The bottom line? Promoting your business with retail brands just makes good sense. Peace of Mind When you work with retail brands, you can be confident that certain things are taken care of. If the products are for sale on shelves across the country, you know they’ve been thoroughly vetted and meet all relevant safety standards. Saving Time Decision-making is easier you are dealing with a known quantity rather than taking a risk on something sight-unseen. Creating a Difference Retail brands will make your brand stand out from the crowd. You will easily be differentiated as a knowledgeable seeker of value. Comfort and Safety Ralston also called this “predictability”—it’s the benefit you get from knowing what to expect and trusting that it will be the same each time you get it. There’s no surprises here; the quality is consistent. Added Value Your brand has value in-and-of itself. Why not add to it by pairing it with something recognized and trusted? It has all the benefits of co-branding! The retail brand logo next to your branding elevates its perceived status. Self-expression Many consumers think of retail brands as extensions of themselves—as Ralston pointed out, if you’re unsure of this, just ask a Mac user when they’re likely to buy their next PC! Brands aren’t just what we wear or buy, they’re who we are. Tying your brand to that emotional attachment builds loyalty. Shared Experiences Retail brands aren’t just about individual expression, they’re about group identity as well. Brand advocates gather as a community and share positive experiences. By adding a retail brand to your advertising mix, you are entering a constructive conversation already in progress. It’s no secret that retail brands come at a higher price point than other options. But through minimizing risk, creating favorable recognition, and standing out from the competition, you are bound to make back your investment. After all, sometimes choices made to save money can end up costing money. One of the greatest benefits of retail brand use is creating a desired perception. By aligning with brands that share the values you want to convey, your customers will have double the reinforcement of your message. Think of the added value if a retail brand known for “peace of mind” were used in conjunction with a promotional campaign for an insurance agent! Ultimately, retail brands are a win-win for both your customers and your brand. 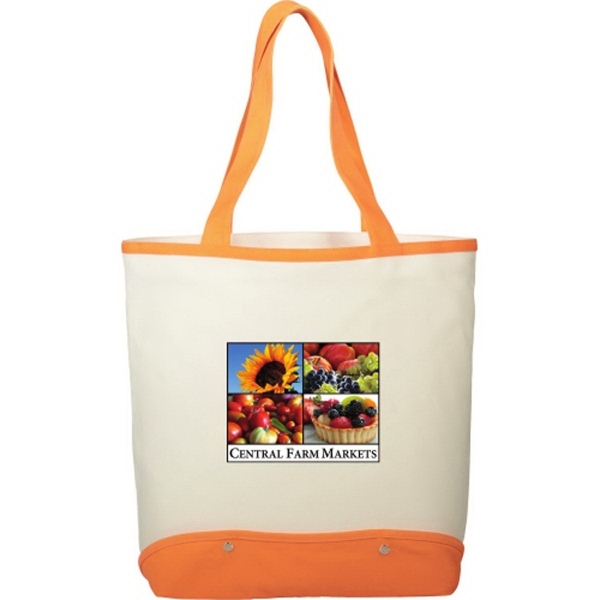 Talk to your sales representative about incorporating retail brands into your promotional campaigns. With gift season looming on the horizon, the timing couldn’t be better to experience the value of retail brands! Why do business still advertise with calendars? Research proves that advertising calendars are useful and valuable. The Advertising Specialty Institute says that 74% of people can recall the advertiser on their promotional calendar. They’re powerful little marketing tools, and if you’re not using them in to enhance your brand visibility… your competitors are. There is no gift or product that is timelier at the year-end than the promotional calendars. Your customer’s 2018 calendars are about to expire. Plans for next year are already in the works! A new calendar is sought-after, appreciated and put to good use immediately at home or work (or both)! People know EXACTLY who gave them their calendar last year… did it come from you? It should! Calendar advertising is the definition of personal advertising. Whether distributed in person or by mail, the advertising calendar is referred to daily, multiple times becoming an integral part of the recipient’s life. We offer many quality logo products to select from, but promotional calendars are the ONLY ones that are in your customer’s lives 365-24-7. People always respond favorably when they’re presented with a product they deem valuable. They’re engaged from the START. You’re the advertiser, and you’re getting the opportunity to “engage” with your recipient every time the calendar is used. Advertising calendars are seen and tell YOUR story to numerous people every day – family, friends, guests, colleagues, and more. The calendar constantly tells people about who YOU are, where YOU can be found and the products or services YOU offer. We have a variety of options for creating a one-of-kind custom calendar. Whether it’s customizing a stock calendar or creating your custom calendar, our experts will help you. Give us a call and we’ll get started. We spend a lot of time learning and educating ourselves on all that’s on-trend in our industry. Why? So we can help our clients stay on the cutting edge with their branding year after year. We’ve created a fabulous resource for the upcoming gift season so that you’re not left behind. 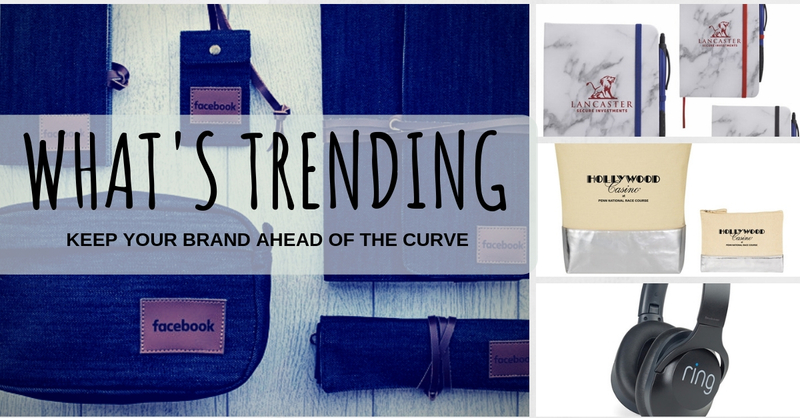 We’re excited to share this Fall’s top branding trends! There’s a hot new trend that’s delivering a jolt of excitement to traditional promotional products like bags and drinkware. Tech features, like charging ports and Bluetooth speakers, are being added to products to increase the fun and deliver more function and convenience. 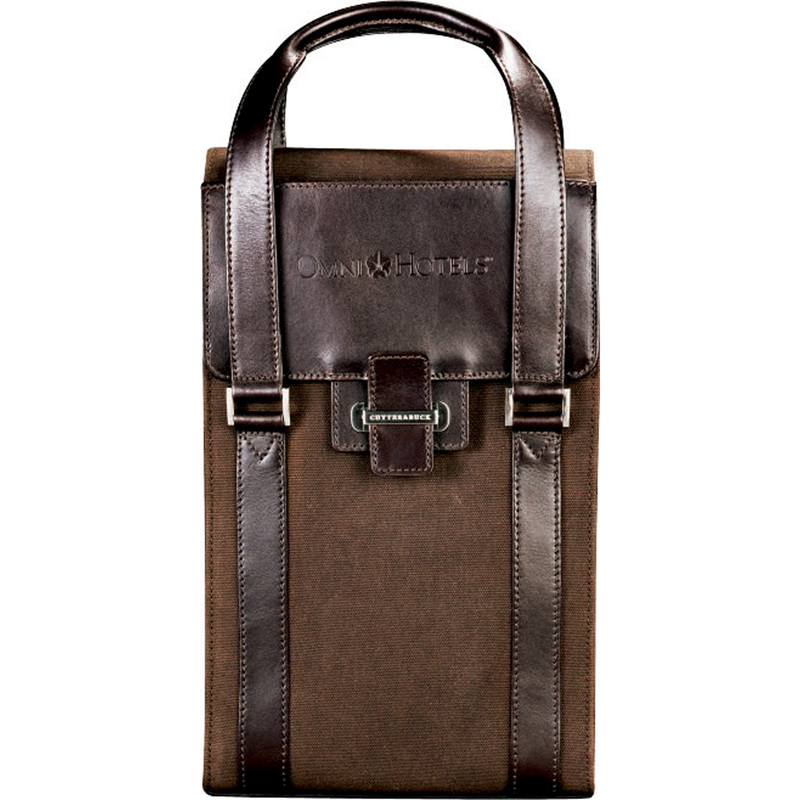 Backpacks and bags now include built-in wireless chargers. Taking your tunes on the go wth integrated Bluetooth speakers is another key trend. Wireless isn’t just a convenience, it’s a way of life. Staying connected on-the-go is essential in our modern world. 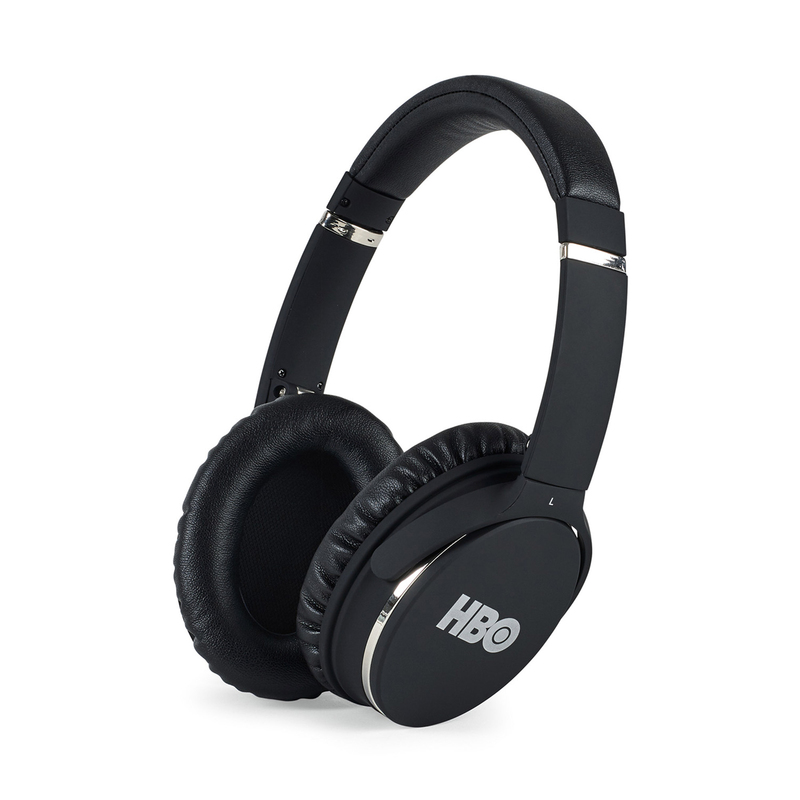 Wireless technology has been steadily increasing in popularity for several years, but with advancing Bluetooth capabilities on many devices, wireless chargers, speakers, and headphones are quickly becoming some of the most sought-after tech accessories! There is no denying the appeal of promotional products with wireless technology for promoting a message and making a lasting impression. This trend is still HOT! In retail, high-performance, insulated drinkware hotter than ever. From campus to factories to the boardroom–it’s everywhere. 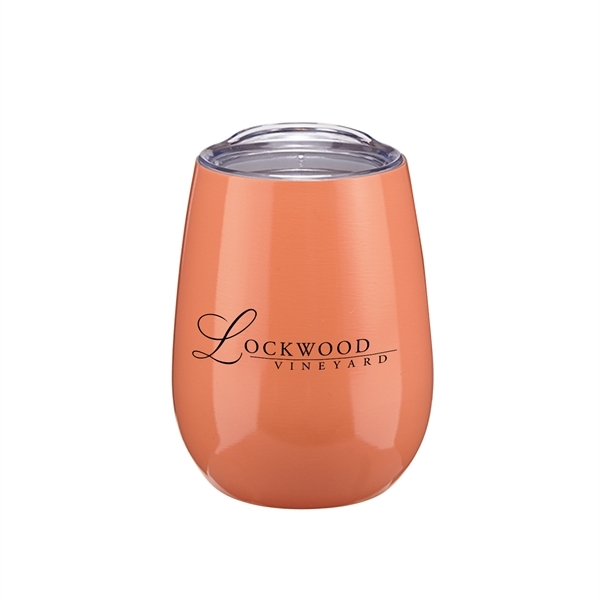 The most popular drinkware pieces, those with copper – vacuum insulation, are home run gifts for any brand. What makes them so universally loved? Well, they perform, keeping beverages hot for up to 6-12 hours and cold up to 18-48 hours. Also, they’re practical. They’re meant to be used every day. Natural materials like marble and cork are making a big comeback, and not just on countertops and cork boards! These timeless, minimalist patterns turn ordinary items into statement pieces. These products create rock-solid brand building, whether they’re used at home or at the office. The marble features rich patterns of veins and swirls, imposing a subtle visual interest that creates a unique background for your logo. The distinctive look of cork provides a stylish effect for your brand.and cork boards! From home décor to luxury products, metallic is a growing trend. Fashionable silvers, bronzes, golds, and rose golds are showing up everywhere from the runway to retail stores. Shiny, warm metals are on the rise as important ways to lend elegance to a space. Help your brand shine and put this stylish theme in the hands of your customers. The two-tone color effect of gradients (or ombré) is making a big comeback in the design world. New styles transition bright pops of color to neutrals and metallic for a big impact or show subtle change in color value for eye-catching results. Gradients are interesting and memorable; the unusual blends showcase color in a new way. The effect is a game changer for brands looking to create their unique identity. connection. Much of the attention in choosing holiday gifts is given to the gift itself, but the presentation is a value added opportunity that can’t be ignored. Packaging and presentation add to any promotion, presentation, contribution, or offering. Gift bags, custom ribbon, and gift boxes will enhance the selected item and maximize the impression it leaves. With a per-gift budget in mind, it’s common to begin looking for the one item that fits in the budget. But with multiple items, your client receives greater exposure and value. By creating a kit or package of products, the recipients are left with many brand impressions. Bundling several items together also increases the perceived value. Browse these ideas and more in our full Gift Guide.